Any way to import the workouts into Training Peaks? We are currently not geared to import our programs into Training Peaks, however, we utilise Training Peaks to train a number of our clients! Will your 4 week program address 1k and 4 k pursuits? Yes, our 4 week program will help with 1k and 4k pursuits - more specifically it will work on your strength, power, speed and efficiency - all of these elements fall into 1k and 4k disciplines. I am wanting to buy the 4 week program but I am assuming it starts as soon I pay for it and the extra videos are only available during the 4 weeks from that time onwards, is this correct? I am off the bike at present due to illness, the doctor said I can get back on next weekend, so was looking at starting then. You have lifetime access to the 4 Week Program - there are no time limits on it. So you can log in and out as often as you like, whenever you like. It's available on your mobile phone too. Of course you can, a number of our members have personal coaches and/or training programs already. We work with our members to ensure that the most important focuses areas are incorporated whilst maintaining training volume and frequency. It's very important the program is balanced well to achieve your goals and we're all for collaboration! I would like to develop more speed. Can I do this with any specific weight exercises? Or do I need to do more speed work training? The short answer is yes, however many factors affect your ability to ride faster. Strength and conditioning is only one element of training that will assist and for weights/strength and conditioning to assist your riding ability you need to ensure that what you’re completing and gaining in the gym is transferring through to the pedal stroke. If you gain strength, you can then gain power, if you gain power then you can gain speed. To improve your speed, you need to gain strength, transfer the strength into power and then work on speed. For this to all work, you need to complete both gym exercises and bike exercises - the two work hand in hand. I hope this assists, we have very long conversations with people explaining this process so it can be a little difficult to explain in a short email. Upon launching our programs, we will have specific programs which entail strength and conditioning advice and exercises for athletes like yourself to ride faster! The answer is: use your road bike in the fluid trainer as the gear combination on the track bike is probably too big for all efforts (aside from seated big gear, up hill efforts, max acceleration efforts). 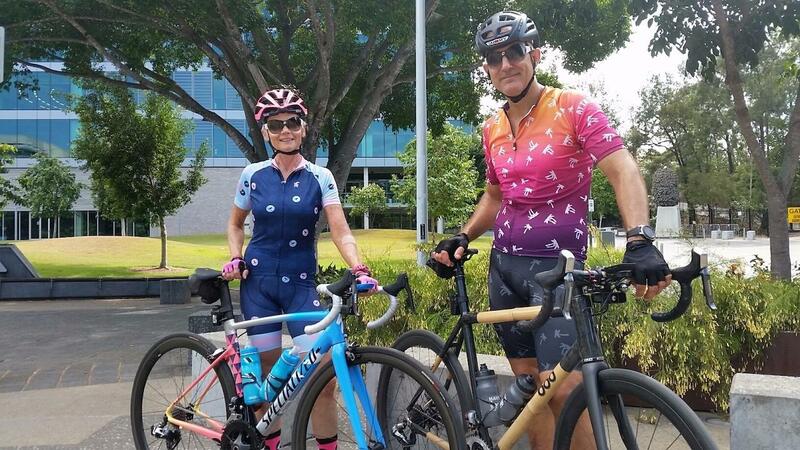 96" is a relatively moderate gear and a road bike would provide greater flexibility for more gear combinations specific to desired cadences and resistance etc. for different types of efforts. I'm keen on getting into track but have mostly done road riding. I've started riding fixed gear bicycles (urban) over the last few months to get use to the feeling and have had to adapt to how much more strength it takes to get up hills when you're forced into a lower cadence. Is cross training with road racing/riding beneficial to track performance or is it too far from track racing to be of benefit? Safety on the road - we’d recommmend a road bike for road riding. Efficiency - riding a road bike on the road in small gears helps develop pedal efficiency and neurological coordination (for example: downhill spin outs to develop neural efficeincy and leg speed). These are just a few reasons but we would definitely recommend both track and road riding to develop your cycling in both and all disciplines! I do seem to be eternally wondering if I have the right gearing. I have slowly been changing to larger gearing as I have gotten fitter/stronger etc, and now I am running 52/14 or 100.3" by my dodgy chart. How do the pro's work out what they use? Gearing depends on the person and their strength/power and ability to pedal the bike efficiently. Obviously if you can pedal say a 90.6 at the same cadence as a 94.5 (for example) you will go faster, however their are a number of factors that play into this (e.g. getting off the line, threshold levels, strength, power, speed, efficiency) etc. 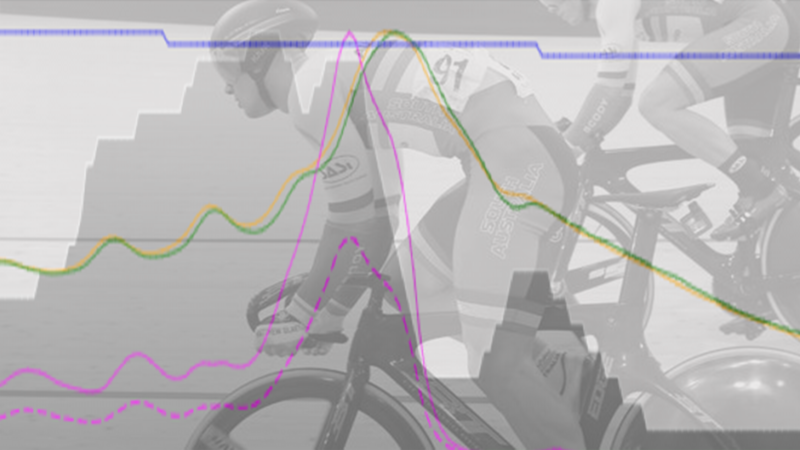 The pro track cyclists in most cases have quite a history behind them and have developed good pedal efficiency and abilities to pedal high cadences for long periods of time. They’ve also had a long history of strength development using bigger gears at certain periods during their training and in racing events. When you combine good strength, with good efficiency (and good physiology) you will arrive at an optimal gear ratio suited for your event/s. Gear ratio’s also change per event (example. 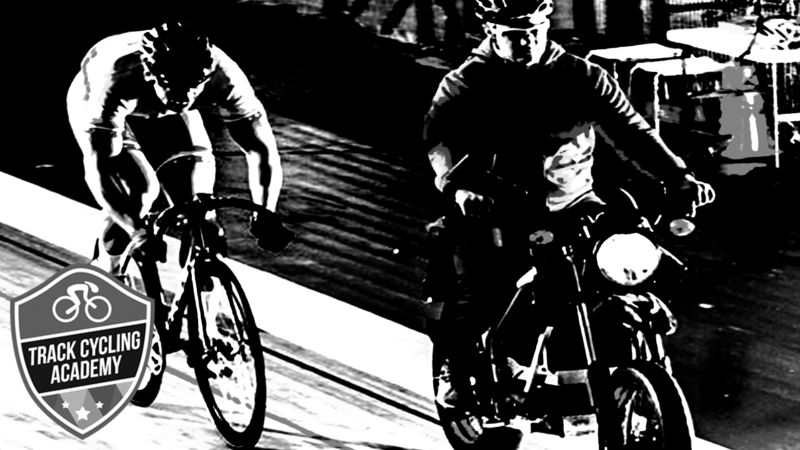 a rider riding a sprint qualifying event will generally race on a smaller gear in sprint rounds and an endurance pursuiter will usually run a different gear in an individual pursuit to a scratch or points race. Many different factors, but more than happy to explore these for you. We’ll be covering this in a little more depth as we progress. 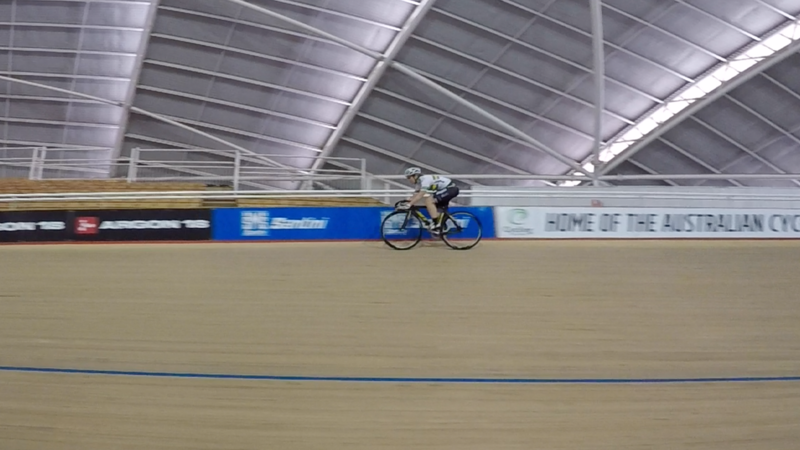 What sort of ball park gearing do the pro's ride in individual pursuit vs sprints? Im told something around 96" will be a good start for an IP. Good question, although it is very broad, but we’ll do our best to answer this for you! Kerrie used to use a 92’-94’ gear to qualify on at World Cup level e.g. 90.6-92.6 (Sprint). Shane would ride around 115+ at some stages. Emily and Kerrie would achieve similar times (Shane, of course a lot quicker). Emily’s strengths lay in her ability to apply force at a lower level revolution range, and Kerrie was a lot more neurally efficient, achieving higher cadences and sustaining them for the duration of the qualifying distance (200m). 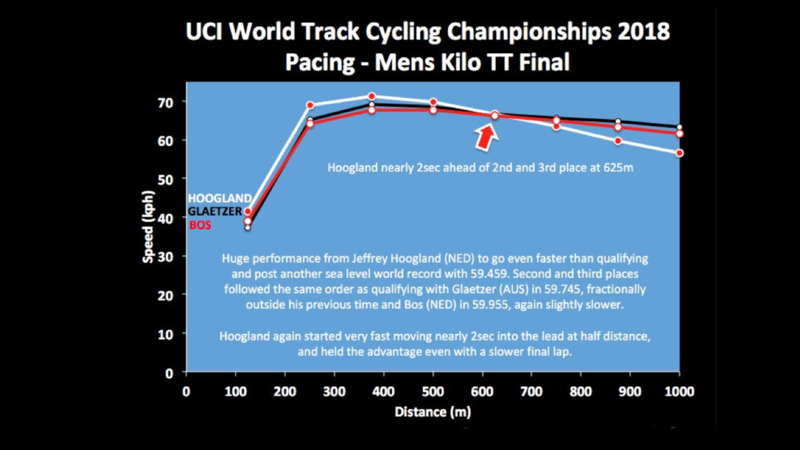 Track endurance athletes - the top guys use quite big gearing e.g. 100+ and the general trend is that gears are getting bigger at International level, and there is a lot of sports science to support bigger gearing. Aerobic fitness to sustain smaller gears for distance durations required, or anaerobic fitness to sustain bigger gears for distance durations required. Great strength + greater efficiency = bigger gear. If you’re struggling with a 97-99” gear ratio, you are probably lacking the ability to apply force quickly and efficiently during each pedal stroke. Generally, we like to ensure athletes have a solid strength foundation in their early season plan so later in the season we can look at converting strength into power and then speed, and transfer these elements across to the bike and attaining efficiency. Efficiency on the rollers - max cadences etc. We generally don’t treat our para-cyclists any different to our able bodied cyclists. They do the same training and receive the same advice. Yes they may have to focus more on different muscular recruitment but the training stays the same for the most part. It would be up to you as to whether you purchase the product or not. Their is a 60-day guarantee and if it doesn’t work for you, you can always ask for a refund, no problem at all. 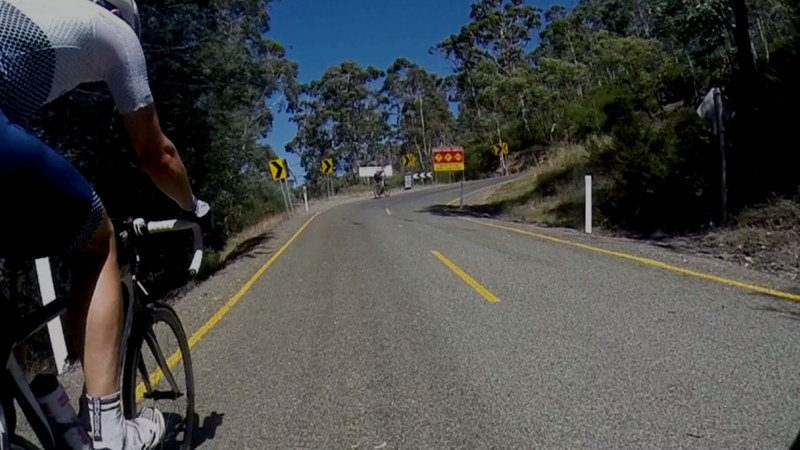 We will look at doing a blog on Para-cyclists sometime in the near future. HOW ABOUT STARTING WITH A QUICK VIDEO (ON US) TO GET YOU PEDALLING FASTER! Check out a range of reading material from the team at the Track Cycling Academy! Yes, I want to RIDE FASTER! Complete this form and we'll send you the FREE Video!